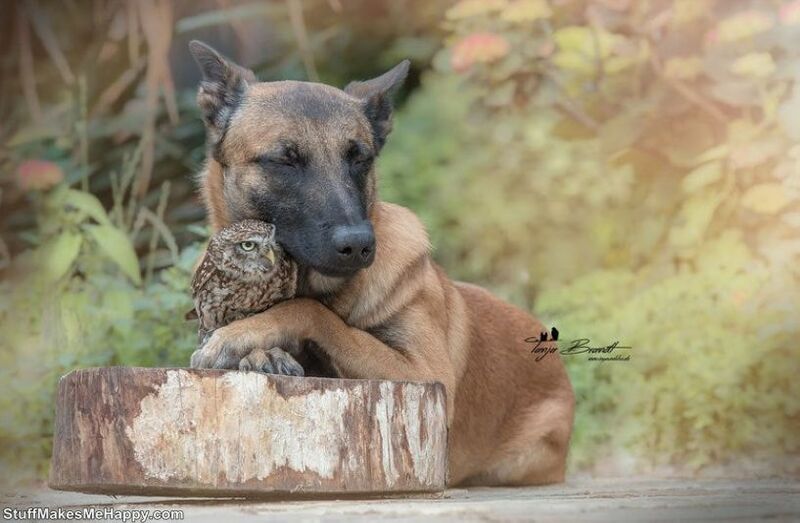 Animal Friendship between Dog and Owl: Nature regularly proves that friendly relations are possible between very different cutest animals. 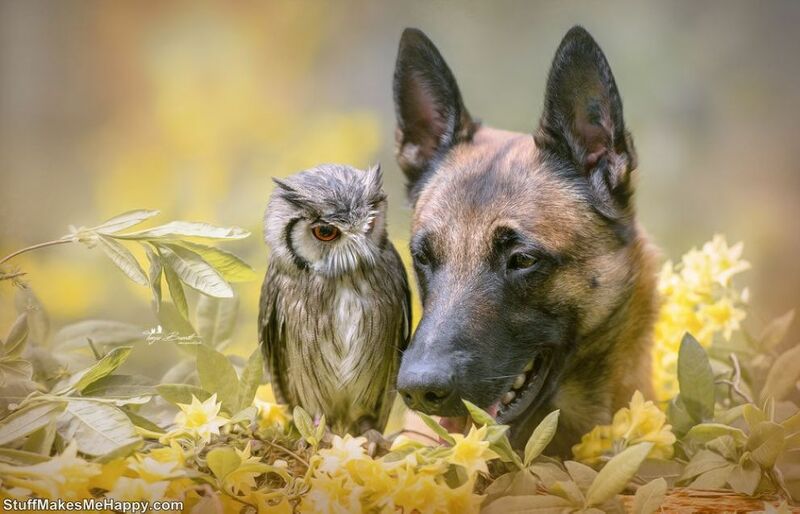 If the friendly relations between dogs and cats do not surprise anybody, but it's hard to believe in the friendship of dogs and birds. 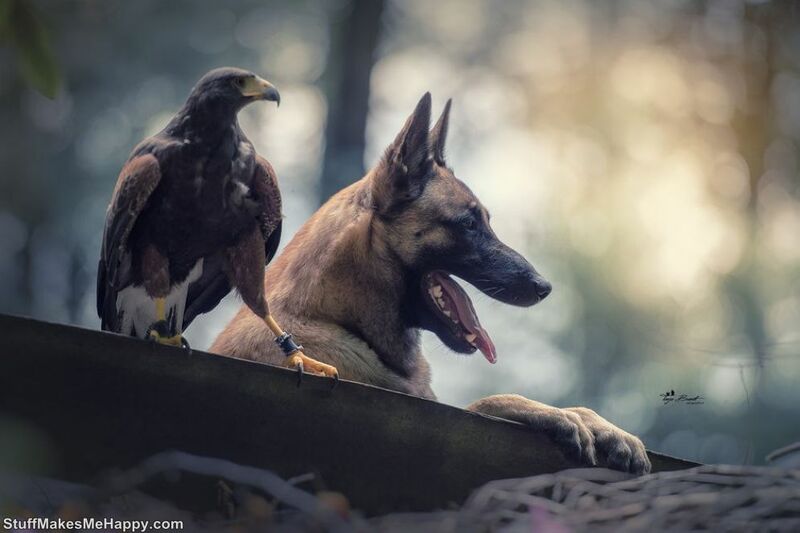 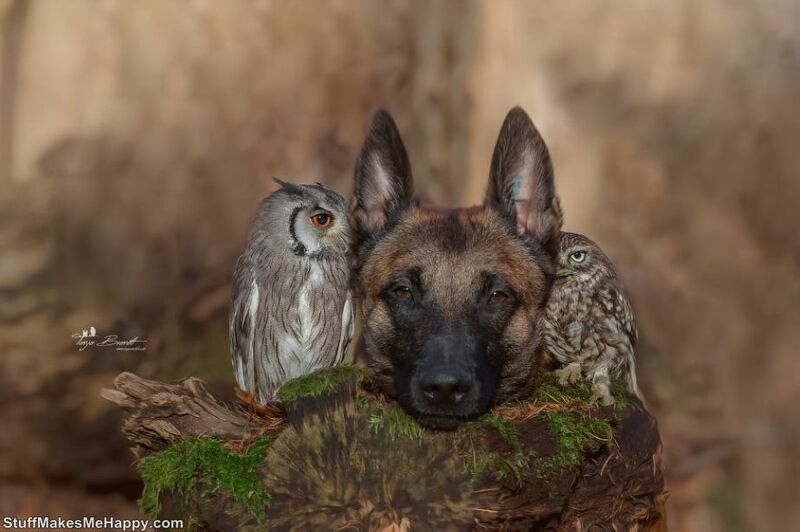 Until you see the spiritual pictures of the German photographer Tanja Brandt. 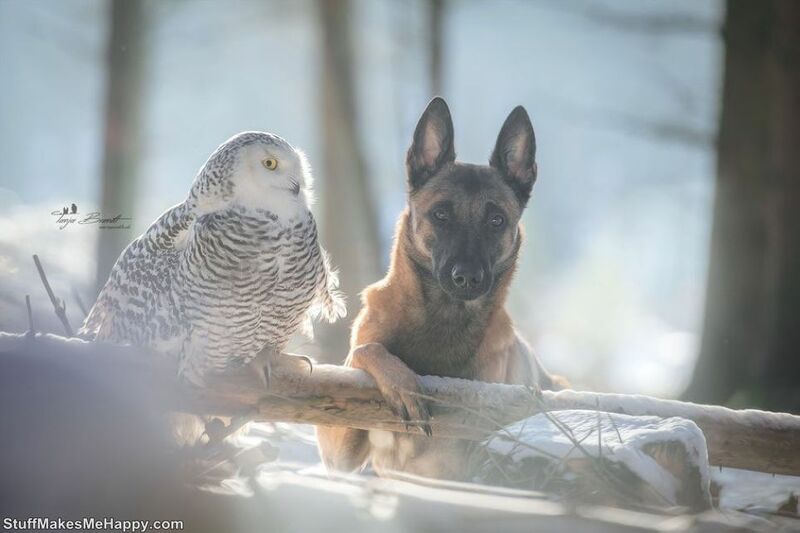 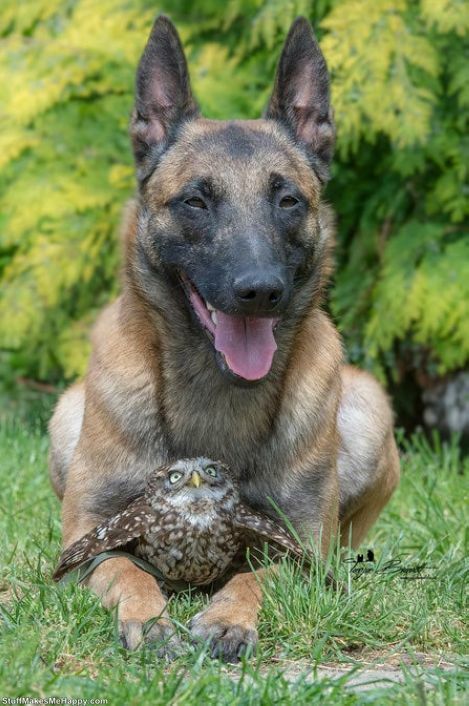 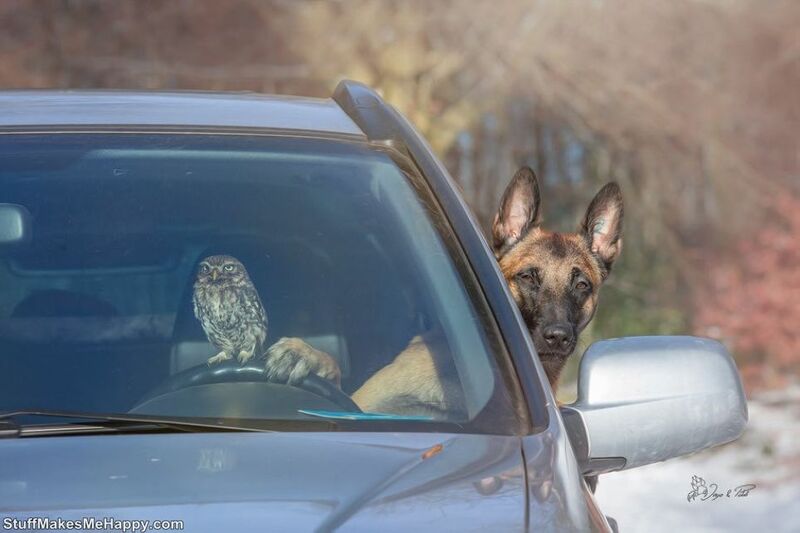 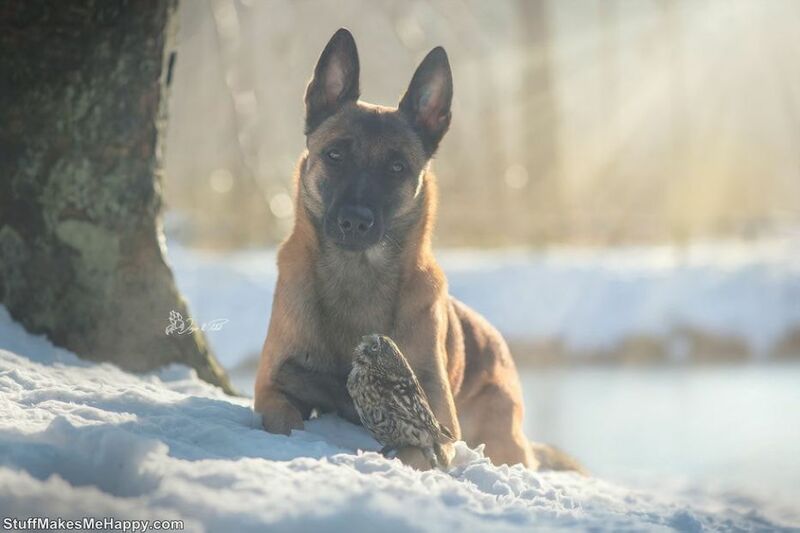 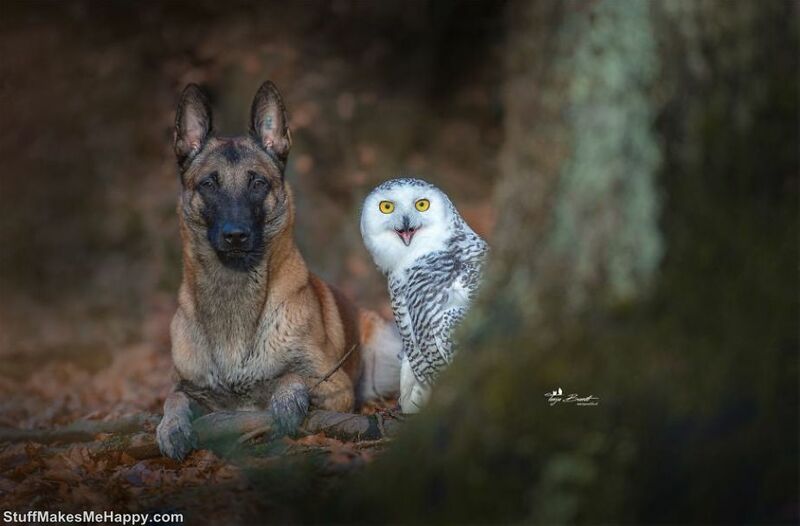 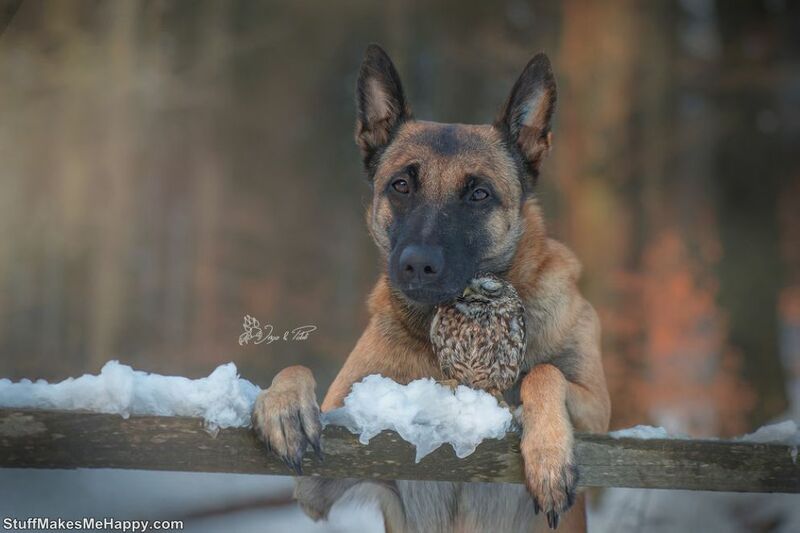 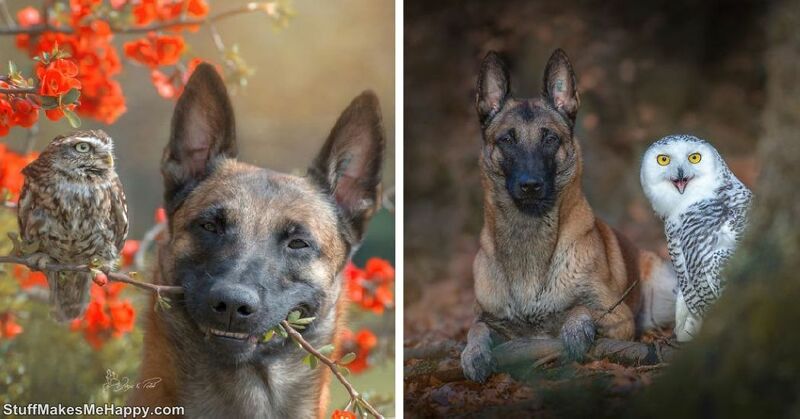 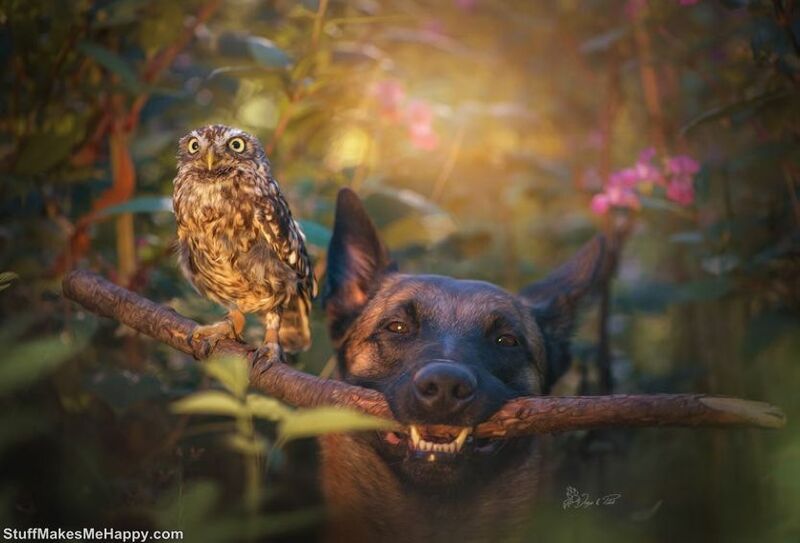 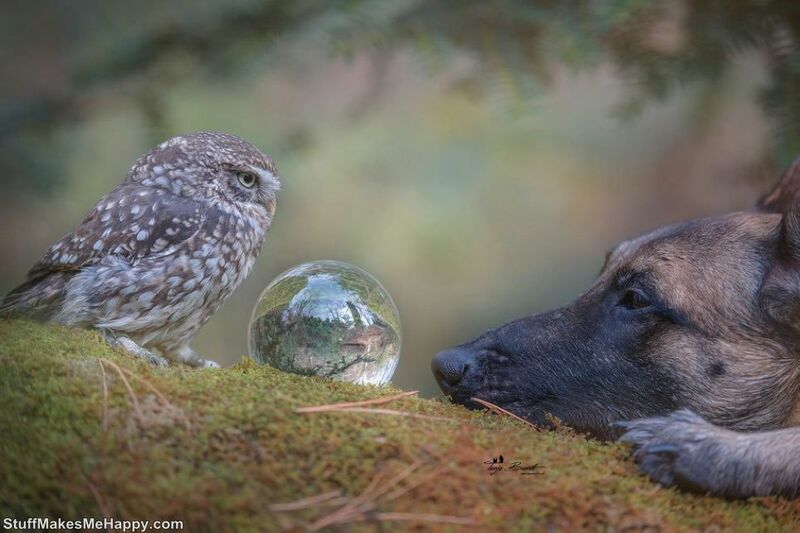 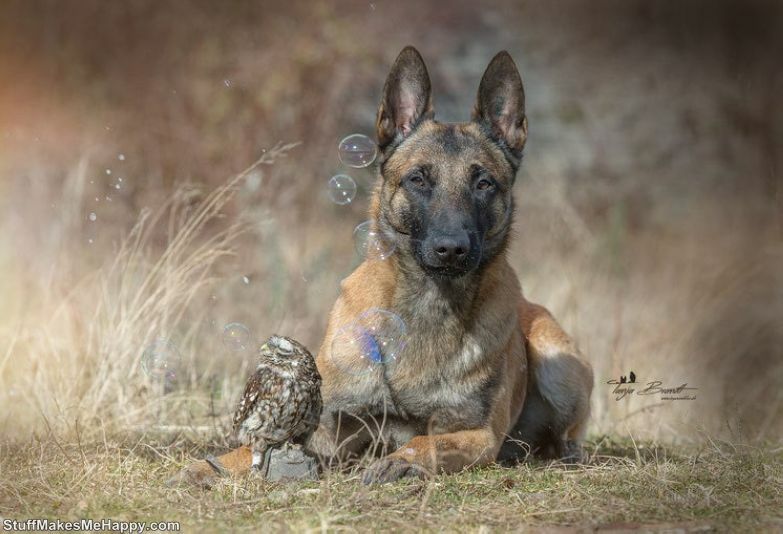 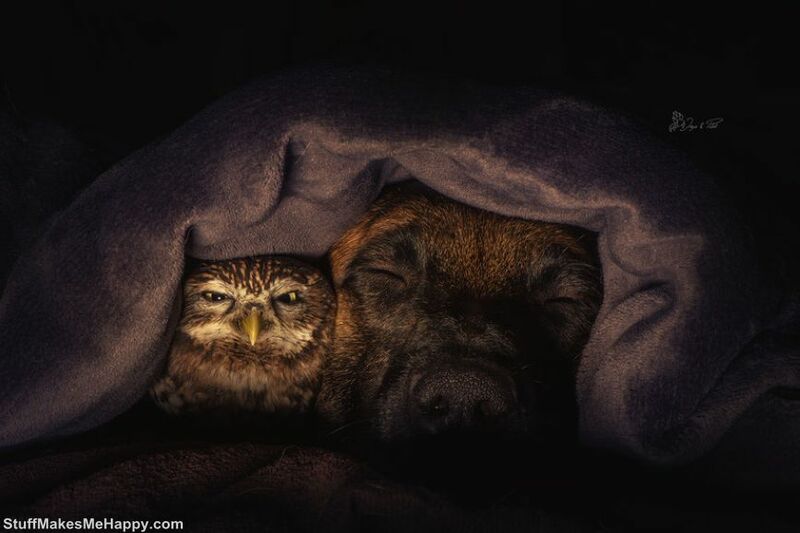 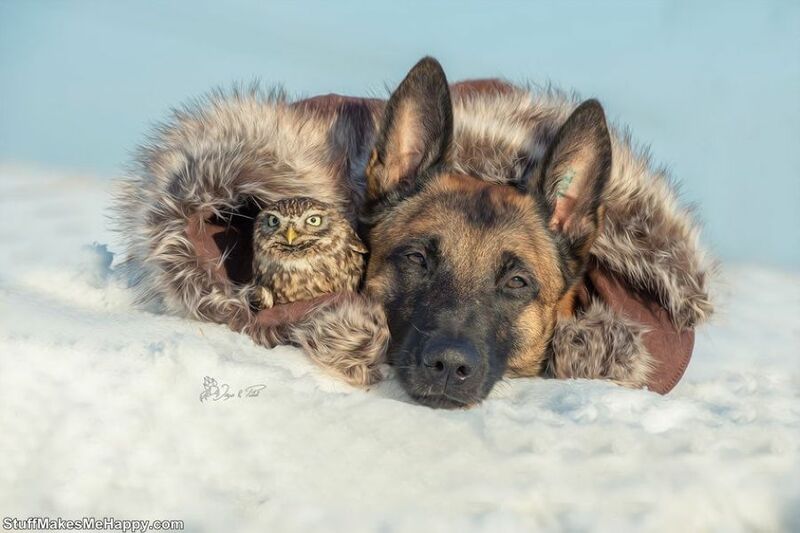 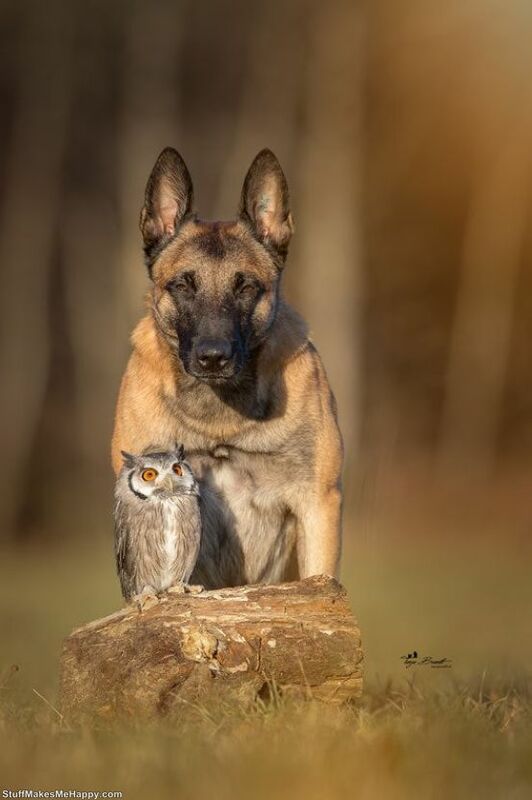 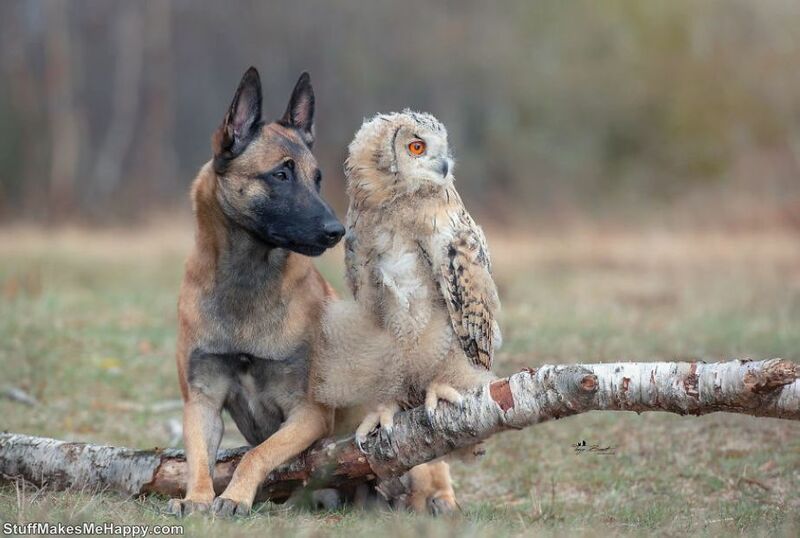 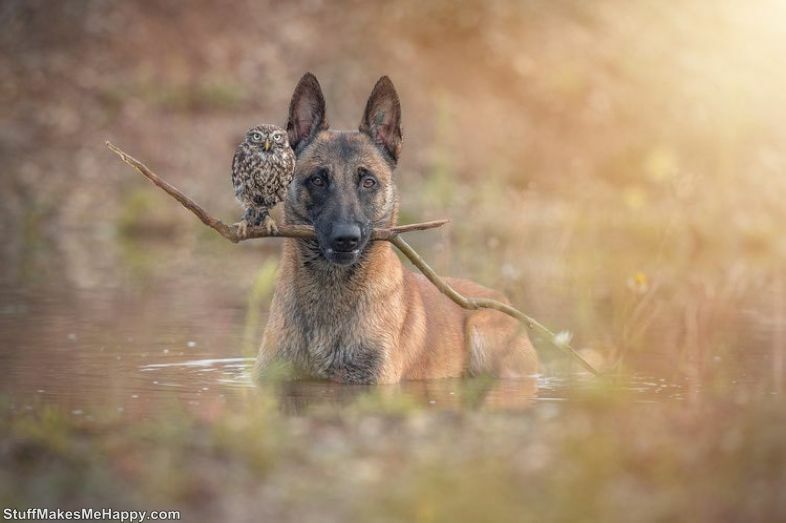 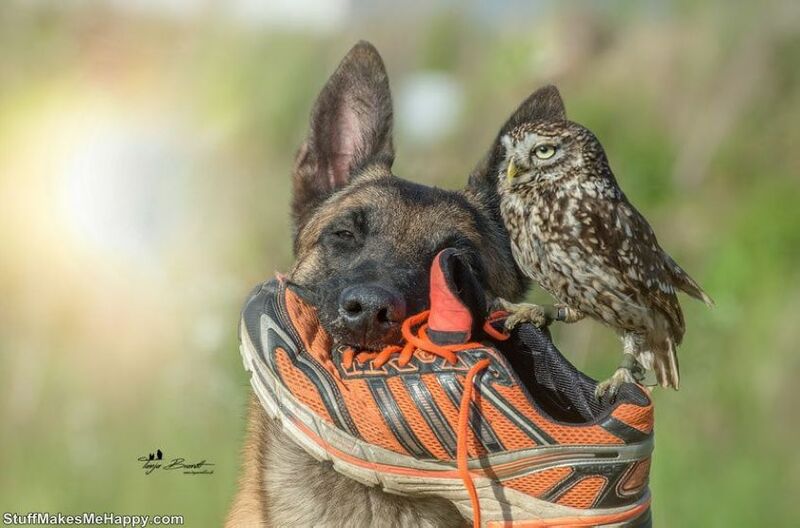 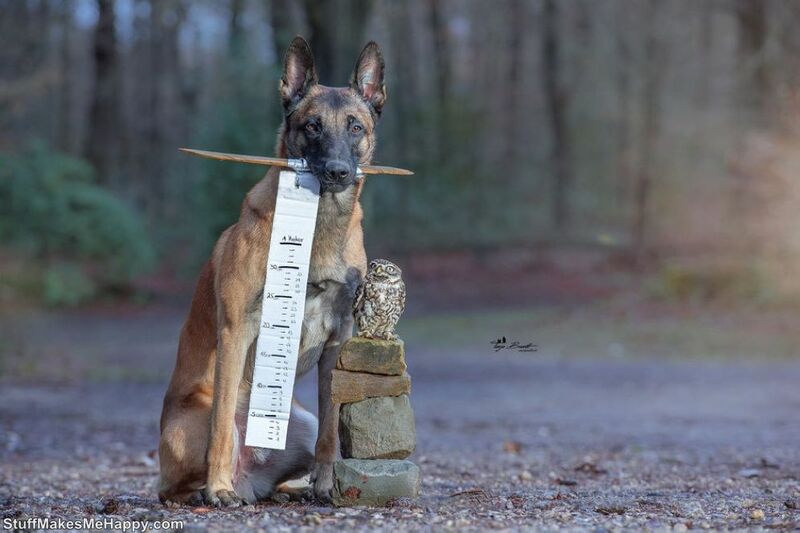 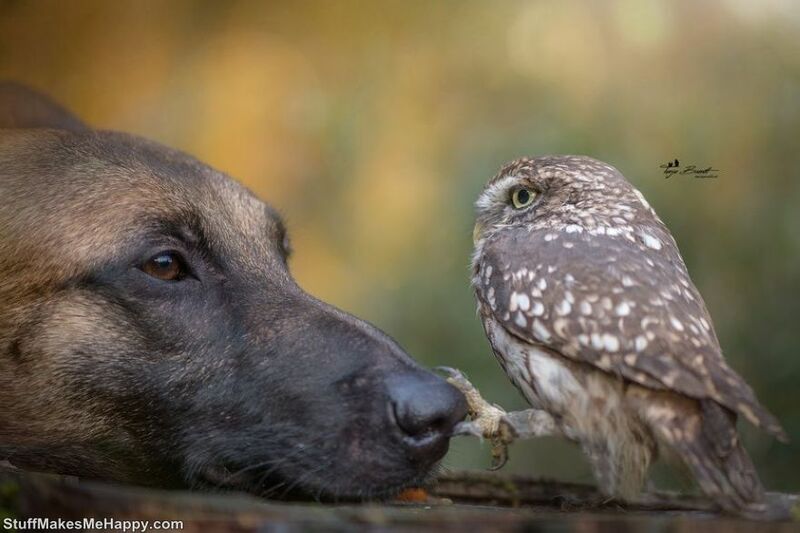 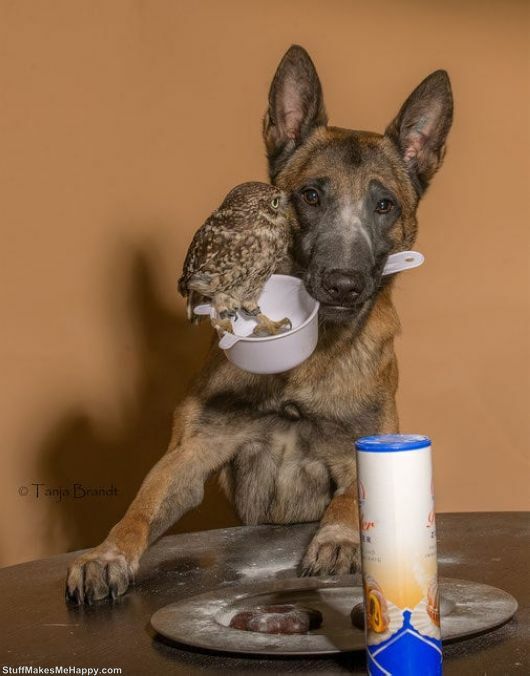 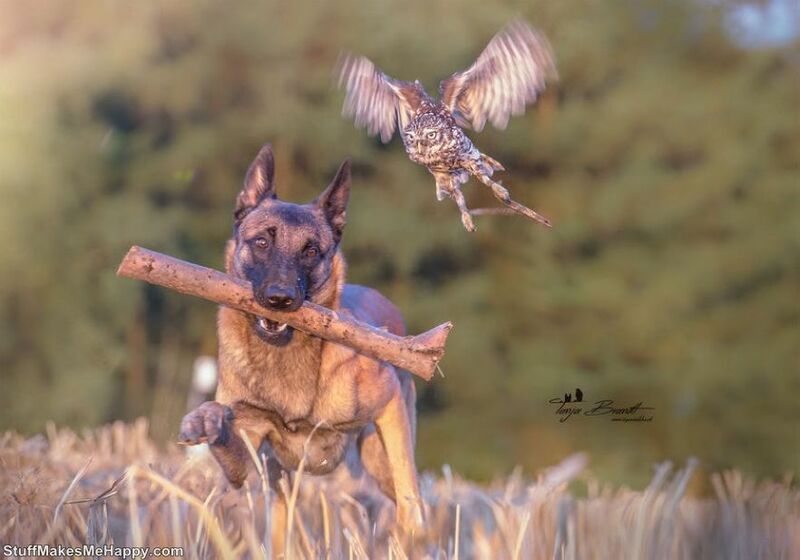 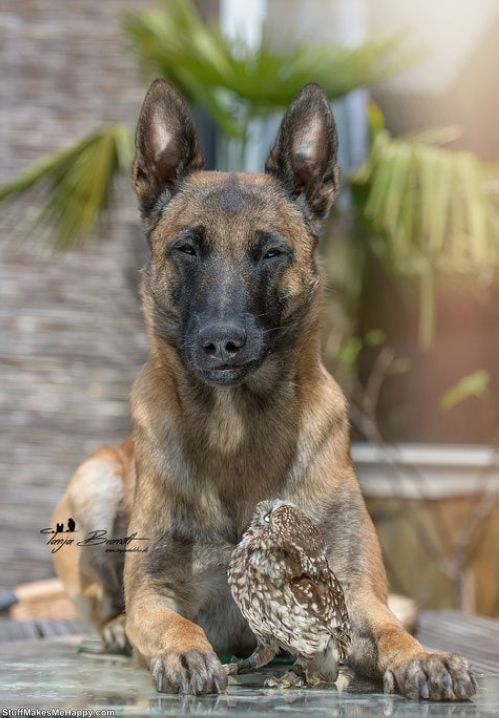 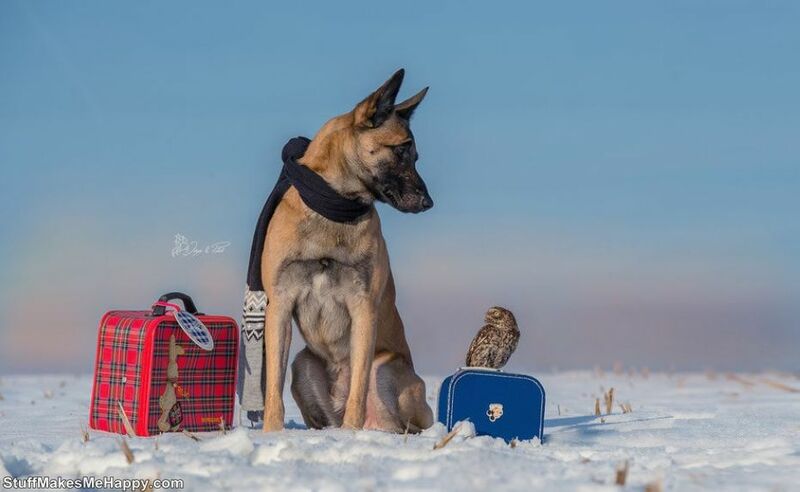 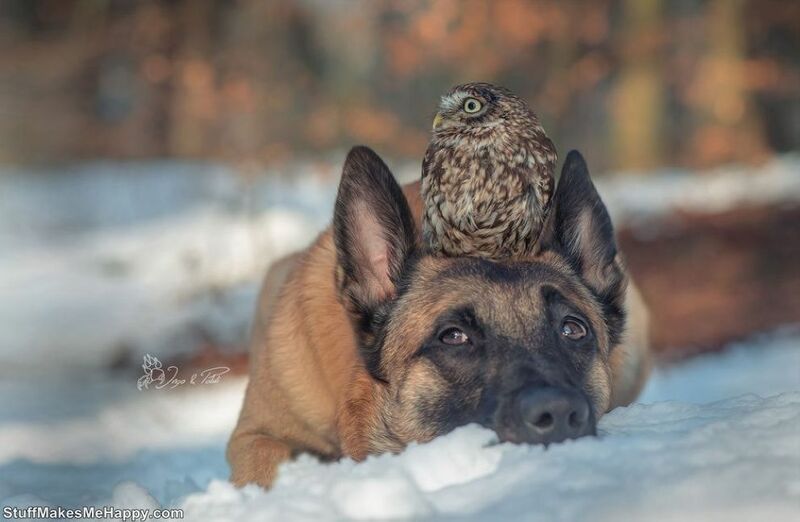 A few years ago she captured the touching friendship of the Shepherd Dog Ingo and Poldi's Owl. 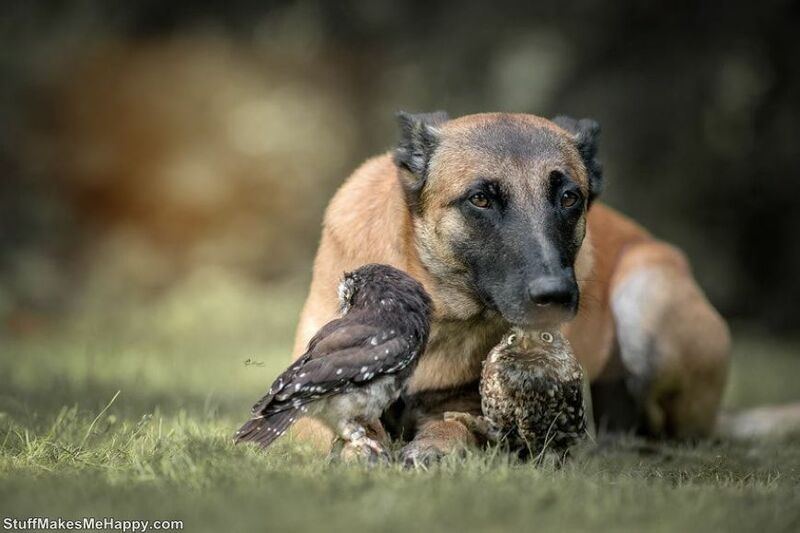 Since then, the dog has some more feathered companions, with whom she is in a warm friendly relationship. 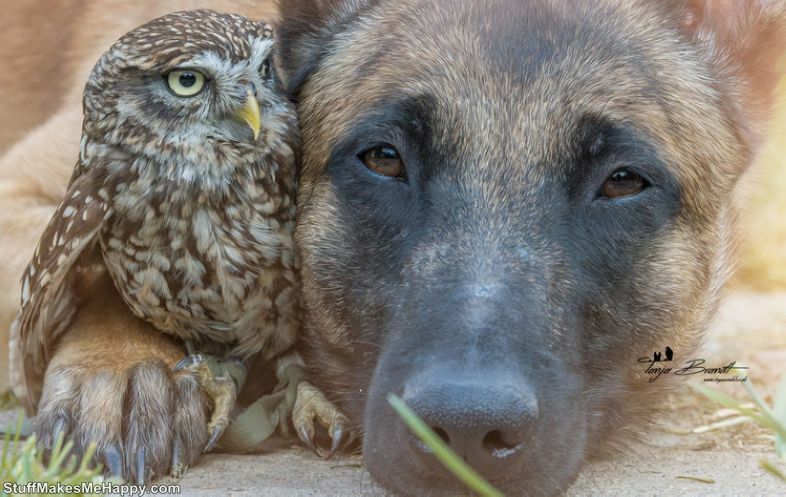 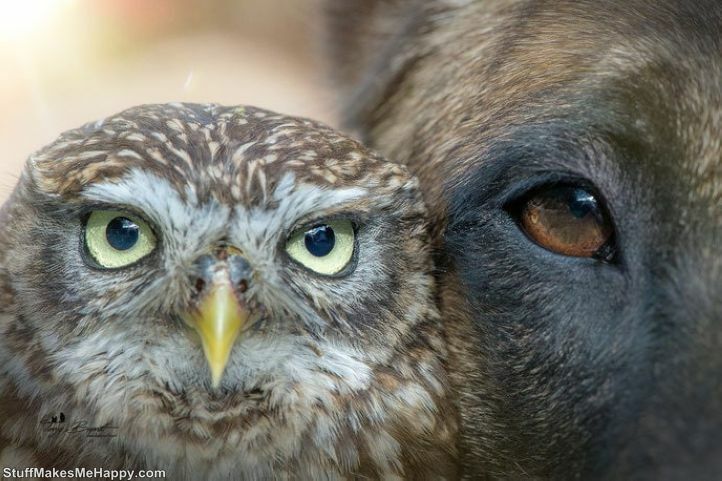 We suggest you take a look at the delightful photos of Animal Friendship Between A Dog and An Owl.